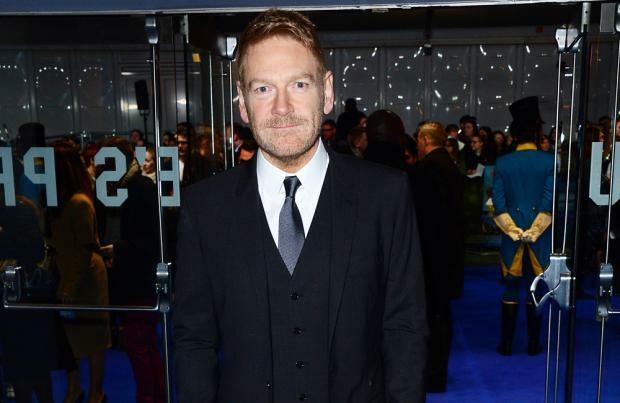 Sir Kenneth Branagh was determined not to let his 'Murder On the Orient Express' cast down. The 56-year-old actor starred and directed the upcoming production, which also features Michelle Pfeieffer, Dame Judi Dench, Johnny Depp and Daisy Ridley, thinks the entire cast were not a "posey or smug club" but were a group of "elite athletes" who were all eager to impress their colleagues on set. Speaking to The Hollywood Reporter, the film icon - who portrays Detective Hercule Poirot in the production - said: "There was a pleasure of being in a group of elite athletes, as it were. And rather than it feeling like a posey or smug club, what I found was that nobody wanted to let anybody else down. You didn't want to be in a scene with Judi Dench and not be very good, or be the one delivering the line to Johnny Depp or trying to share the laugh with Michelle Pfeiffer and not do it well." The 'Hamlet' star dons a moustache in the mystery thriller, and he has revealed he spent "nine months" preparing for the role, which saw him contemplate what type of facial hair to go for. He explained: "There's a great quote I like about Poirot, that you could tell from that ridiculous mustache his profession immediately: 'a retired hairdresser.' The mustache becomes part of what throws and provokes people. "We had nine months of preparation that started from something that was a slither of what Charlie Chaplin might have had, passed through Hitler, went via Errol Flynn, turned the other side of Kurt Russell in 'Tombstone' and landed in a world that tried to justify Christie's description of his mustache as having a 'tortured splendour'." Meanwhile, Branagh is keen to work with Dench again, and he is "in talks" to cast her in 'Artemis' . Speaking about his next venture, he said: "We're in talks with Judi [Dench], but the key piece of casting is Artemis. We've been searching for an 11- or 12-year-old criminal mastermind and concentrating our search all over Ireland. It's not quite decided yet. But I'm excited to be doing something for Disney that is live action and a new story."